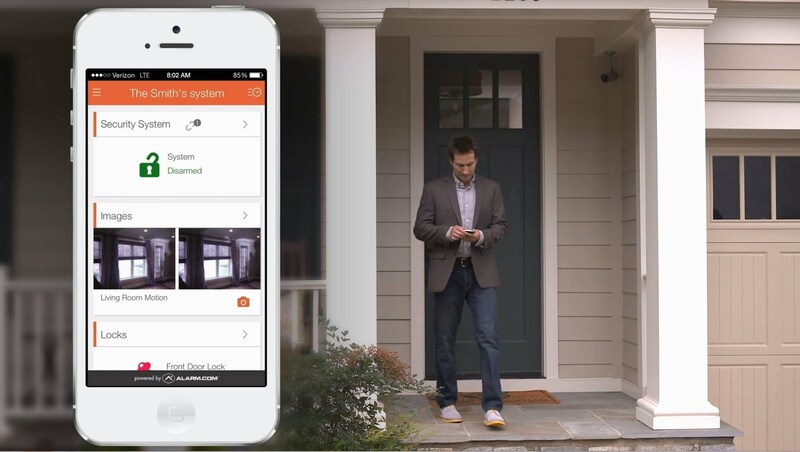 Smart locks are quickly becoming the most popular home tech/smart security device. This news is not surprising considering how most Americans have schedules that keep them away from home. 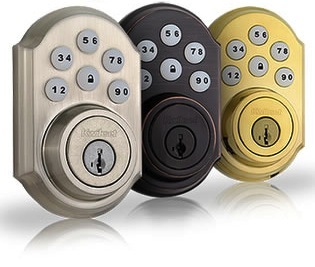 Keyless locks with remote access are a great way to safeguard your home. 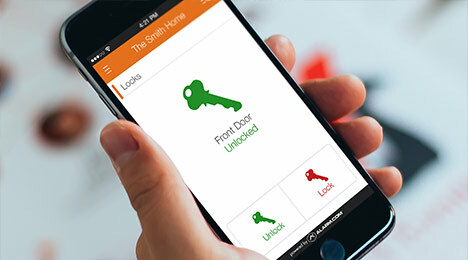 A smart door lock is one of the easiest ways to introduce smart home devices into your daily routine. They can be a basic touch keypad that allows you to open your door without a key (no more spare keys floating around!) or a complete door locking system that is controlled from your smartphone. The Convenience. You will never again stand at your door, digging in your purse or fumbling in the dark for your keys. You will never wonder if you locked your door or have to turn around as you are able to take care of this from your phone. The safety. You are able to control who enters your house and when. No more spare keys floating around or forgetting everyone who has one. Each individual who has access to your home will have a personalized code, and you can track the usage on your app. The accountability. Does the bus drop your kids off at the house before you get home from work? Have teens with a curfew? Want to track how long your cleaning crew was in your home? Our free app will send you updates on who used the lock and the specific times. Our newest technology has transformed yesterday’s deadbolt into a smart home security device through keyless access, user identification, and control from your smartphone. Enhance your security system by integrating your door locks to our smart security platform, which gives you real-time visibility, control, and automation options that can be customized to fit your needs. If you would like to benefit from the smart lock features mentioned above, CLICK HERE to schedule your FREE consultation with a professionally trained Sentry Security sales consultant!